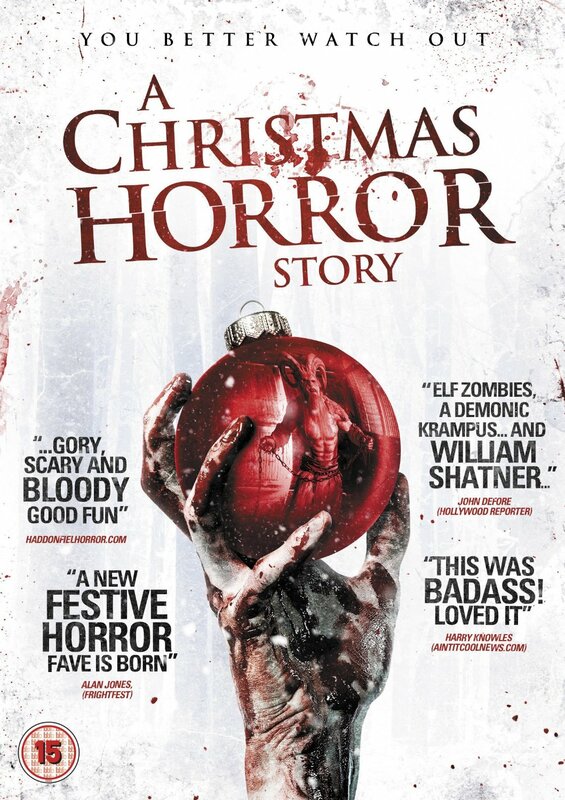 John’s Horror Corner: A Christmas Horror Story (2015), a holiday anthology complete with zombie elves, evil spirits and Santa fighting Krampus! MY CALL: If you’re looking for a campy Christmas horror anthology with a berserk Santa Claus, changeling shapeshifters, Krampus, creepy kids, zombie elves and evil seductive spirits—then this is for you! It’s a decent flick if you don’t go in expecting much. MOVIES LIKE A Christmas Horror Story: For more serious holiday horrors try Krampus (2015), Gremlins (1984), Rare Exports: A Christmas Tale (2010), Silent Night, Deadly Night (1984), Black Christmas (2006) and Black Christmas (1974). OTHER HORROR ANTHOLOGIES: Black Sabbath (1963), Tales from the Crypt (1972), The Vault of Horror (1973), The Uncanny (1977), Creephsow (1982), Twilight Zone: The Movie (1983), Stephen King’s Cat’s Eye (1985), Creepshow 2 (1987), Tales from the Darkside: The Movie (1990), Necronomicon: Book of the Dead (1993), Hellraiser: Bloodline (1996), Campfire Tales (1997), 3 Extremes (2004), Trick ‘r Treat (2007), Chillerama (2011), Little Deaths (2011), V/H/S (2012), The Theater Bizarre (2012), The ABCs of Death (2013), V/H/S 2 (2013), The Profane Exhibit (2013), The ABCs of Death 2 (2014) and V/H/S Viral (2014). This playful little holiday horror anthology opens with the general feel of a higher quality ScyFy Channel movie-of-the-week. But once it gets going the gore is more than adequate and there are some decently fun jump scares. So I didn’t exactly have a bad feeling about this—just don’t expect high quality filmmaking and you should be fine. This anthology bounces back-and-forth between four linked horror stories that can’t seem to agree when it comes to tone. 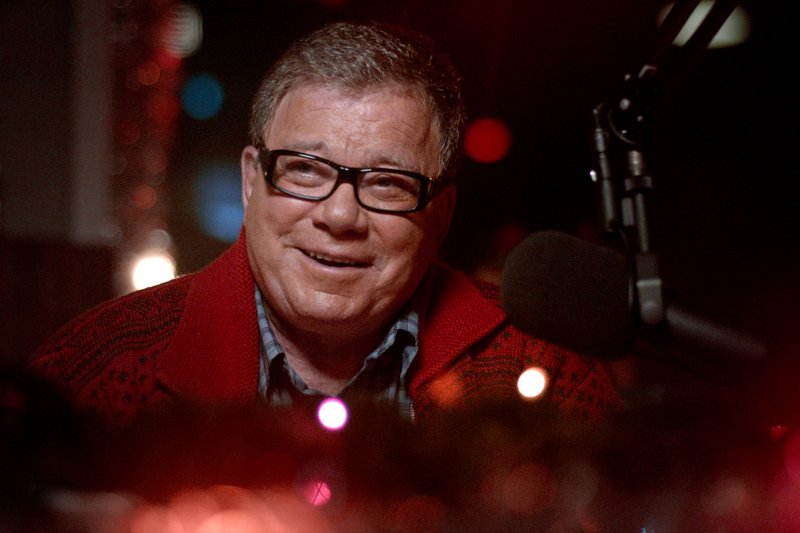 As something of a wraparound story between segments, we have William Shatner’s silliness as a radio show host. He’s okay, not great, maybe a fraction as charming as intended. But he did his job—he got me to watch this movie after I saw him in the trailer and I chuckled at his scenes. LOL. One little Easter egg is that Ginger Snaps and A Christmas Horror Story are both set in the fictitious town of Bailey Downs. The first story introduces a group of young documentary filmmakers producing “Horror in the Hallways” about a years-past serial killing in their high school. It seems to take itself rather seriously while trying—and failing—to embrace the notion of personable characters who don’t know what they’re getting into like Grave Encounters (2011). After our introduction to the first and more serious story, the tone shifts to something more tongue-in-cheek. Evidently the elderly have a special intuition when it comes to the evils of Krampus…and they tend not to warn others for some reason! 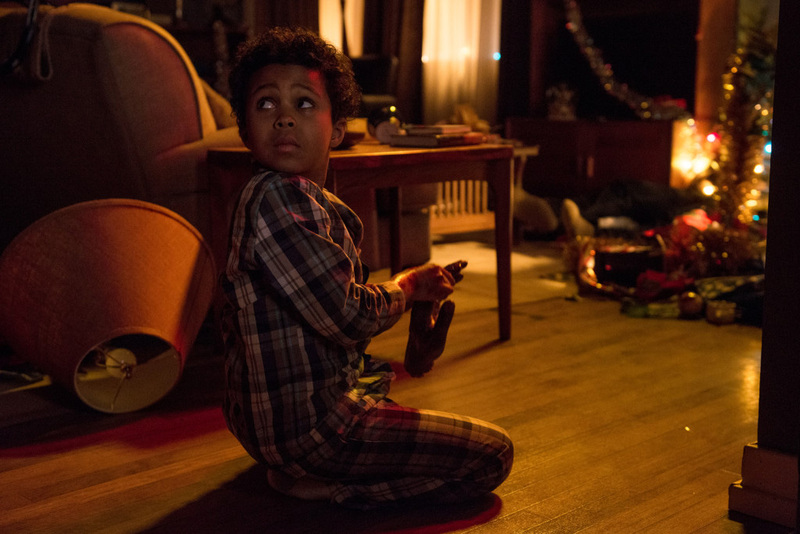 In Krampus (2015) the grandmother knows what evil looms but says little (and nothing clearly or in English) to try to save anyone. In this movie, the elderly great aunt kicks out her nephew and his family after his tween son deliberately breaks a Krampus figurine. Clearly an unforgivable offense—but the kid was being a little punk. Meanwhile at the North Pole, after a self-mutilating accident in Santa’s workshop an elf becomes patient zero in a zombie outbreak of Santa’s little helpers. Now the tone has transmuted into fully slapstick, gory silliness. Then our fourth tale, about a child behaving strangely on Christmas eve, is 100% serious. It’s hard to talk about this one without ruining it. So I’ll leave it at that. But it’s a neat little short. These short films often feel sort of cheap—like they were the gems found in a Walmart horror movie bargain bin but just fit for Video-on-Demand. This movie is certainly joyously entertaining for horror fans, but its symptoms of weak filmmaking are readily apparent. The young filmmakers’ lines are poorly written, Krampus evidently hunts his cheerless victims by obliviously walking into traffic (like some stupid Sasquatch movie) and hoping the driver swerves into a wreck in lieu of running him over (although later he hunts them in a more appropriately fun manner), Santa’s expository dialogue was awful (but maybe funny in that respect), there were basically zero good camera shots, a girl gets possessed and immediately starts seducing teenagers with such Shakespearian prose as “I know you always wanted me”, and this was largely written like an R-rated children’s story that had to clearly and slowly verbalize EVERYTHING as if it was made for toddlers. There is also no real development. Krampus is mentioned, something bad happens, and now suddenly everyone talks about Krampus as if they have always believed in him. Silly—just dumb and silly. Furthermore, none of the mysteries are explained. 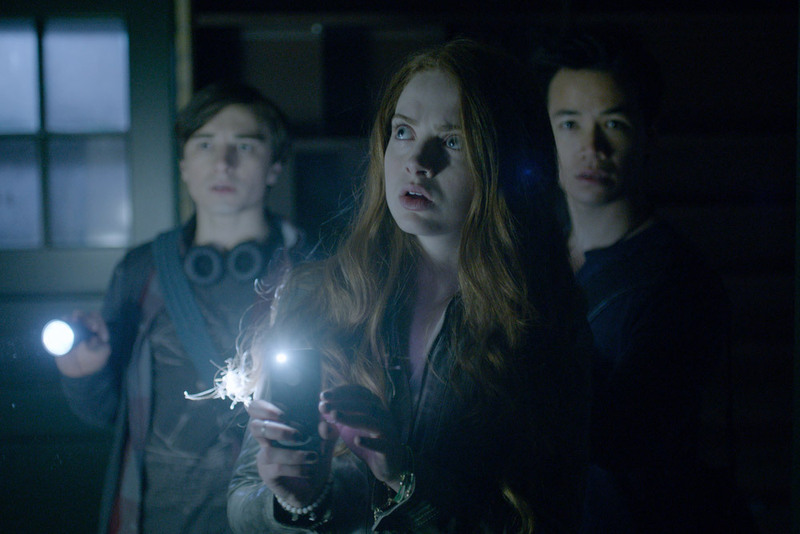 And no, they’re not the kinds of things that are better left unexplained. Directed by Brett Sullivan (Ginger Snaps 2), Steven Hoban (producer on Ginger Snaps), Grant Harvey (Ginger Snaps Back: The Beginning), I’m not surprised by the randomness of quality and storytelling in this film—as this can be witnessed when comparing Ginger Snaps movies to one another. Just look at the varying quality in their respective werewolf movies. But this movie was not without its share of bad horror charm. Seeing Santa slaughtering his elves was a great concept. Even if the action/killing scenes were ill-executed at times, it always had me grinning even if I was rolling my eyes while I was enjoying the wholesale elf murder and dismemberment. I enjoyed the mass “elficide.” Krampus looked pretty cool and basically went all Mortal Kombat wielding his hooked chain like Scorpion. 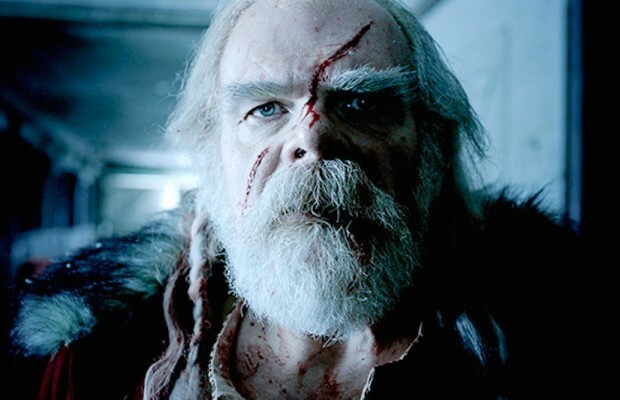 And I loved how the Krampus-Santa battle transitioned us to the surprisingly satisfying ending. This is not a “good” movie, but it’s a very enjoyable one! Highly recommended to horror fans especially around the holiday! He’s always charming to see on screen, but I felt they under-utilized him and could’ve made his lines better. Either way, happy to see him in this.